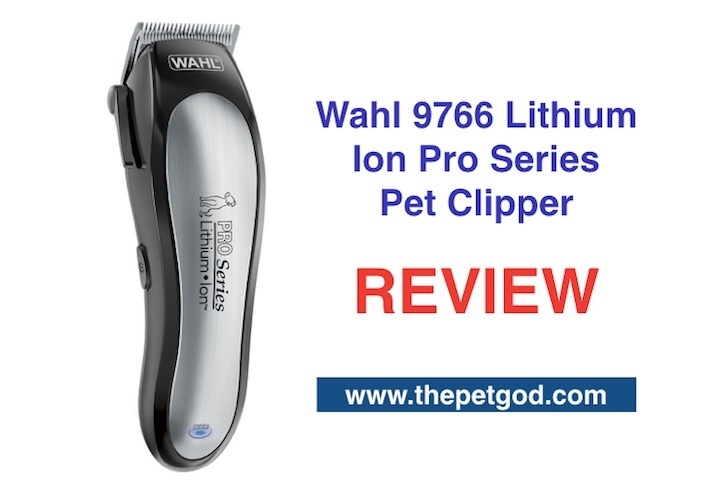 It wont have gone unnoticed to buyers that the Wahl 9766 Lithium Ion Pro is currently the #1 best seller in cat grooming clippers. 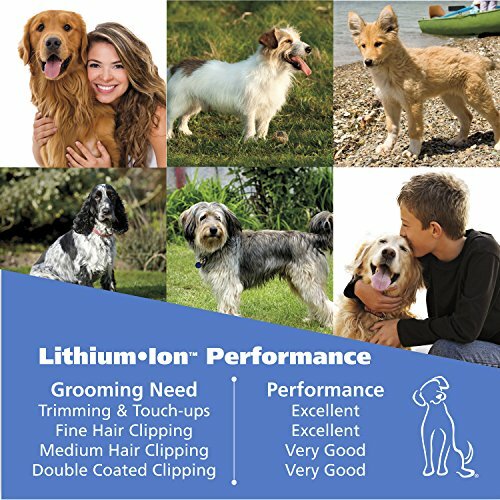 This may suggest that they are not best suited for dogs, but there are in fact some positive wahl 9766 lithium ion pro series pet clipper reviews from dog owners that suggest otherwise. This heavy duty model comes with the promise of “uncompromised cutting performance” and some interesting features, such as the self-sharpening precision blade. Here we will look at the experiences of dog owners, and their pets, to determine the pros and cons of this appealing system. There are plenty of positive reviews from users about the performance of this system and the inclusion of parts like the tug free precision blades. The phrase “cut through like butter” is greatly over-used by dog owners, but it does show how highly buyers consider these clippers. There are some mixed views on thick hair and matts, which suggests that it doesn't have the power and strength of other models, but it does a great job on basic cuts, with users saying that it is quick, clean and pretty much effortless. The other important selling point with this system is the fact that it is part of a larger kit that offers additional accessories for the full grooming experience. There are combs, a pair of scissors, a case and a nice blade guard to protect the dog further. The only problem here it that it comes with a very basic blade that many have replaced. This low-grade blade could be why some users have struggled on tougher cuts. This kit can be seen as a good starting point, a way for buyers to get comfortable with clipping for the first time before upgrading with new blades and attachments. 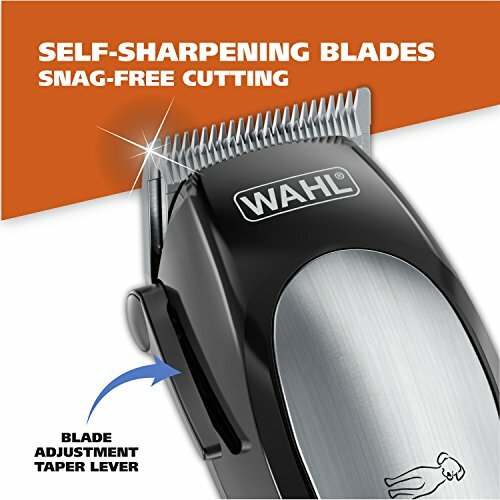 Our pets are often the most difficult to please when buying new clippers but reports for this Wahl system suggest that most are pretty happy. This device is designed to be suitable for all breeds, buyers agree and many dogs are happy to be cut, even those that are afraid of the groomer. The blade can get a little hot after an hour of continual use, but this doesn't seem to be as bad as some other models. The product is also promoted as being an ultra quiet clipper. There is debate on the term 'ultra'; some say it is quiet in relation to others but ultra may be pushing it. Either way, the noise seems to bother humans more than dogs. Our pets are often the most difficult to please when buying new clippers but reports for this Wahl system suggest that most are pretty happy. This device is designed to be suitable for all breeds, buyers agree and many dogs are happy to be cut, even those that are afraid of the groomer. The blade can get a little hot after an hour of continual use, but this doesn't seem to be as bad as some other models. The product is also promoted as being an ultra quiet clipper. There is debate on the term 'ultra'; some say it is quiet in relation to others but ultra may be pushing it. Either way, the noise seems to bother humans more than dogs. There is one additional element to this product that makes it stand out over other models, and that is the fact that it is cordless. Cordless models have their perks because they can be more manoeuvrable, but there are power issues if the battery is no good. Luckily, this model uses a lithium ion pro series battery for a longer life. It offers a 2 hour run time, which should be just enough as long as it is not being used for professional purposes, and there is the promise that it charges back up in 15 minutes. This may be a slight exaggeration, but it is still pretty quick. Part of a bigger kit for a full experience. Potential for great results on different types of coats. Dogs have few issues with the process and most seem to be comfortable. Helpful cordless operation with good battery life. Can get hotter than some buyers expected. 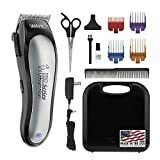 As customer wahl 9766 lithium ion pro series pet clipper reviews have shown, there are some clear advantages to choosing this model, but also some small flaws to be aware of. There are always pros and cons to choosing a cordless model and while this option has one of the strongest batteries available with this brand, it can cause power issues. 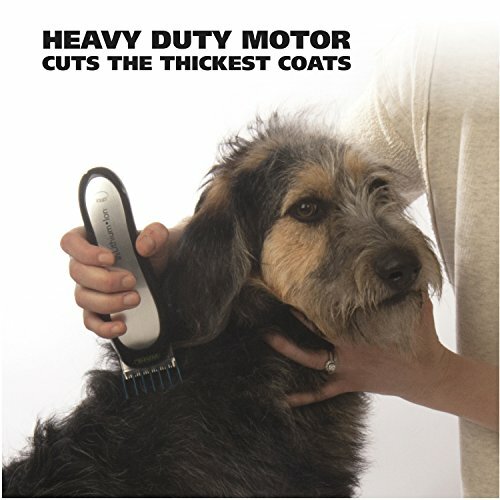 This Wahl device can struggle on the tougher jobs, but it makes up for these shortcomings by providing additional features to help users further, operating in a way that most dogs are comfortable with and giving a great cut on most coats. Read this guide about 5 more best dog clippers​. Watch the video ​to know more features of this clipper.